The title nods amusingly to a memorable track from INXS, while the arresting opening tips its hat to the torture movie, as two guys in the woods stumble across a cabin in the woods where a homely looking couple are routinely hacking up abducted strangers for “fresh meat”. 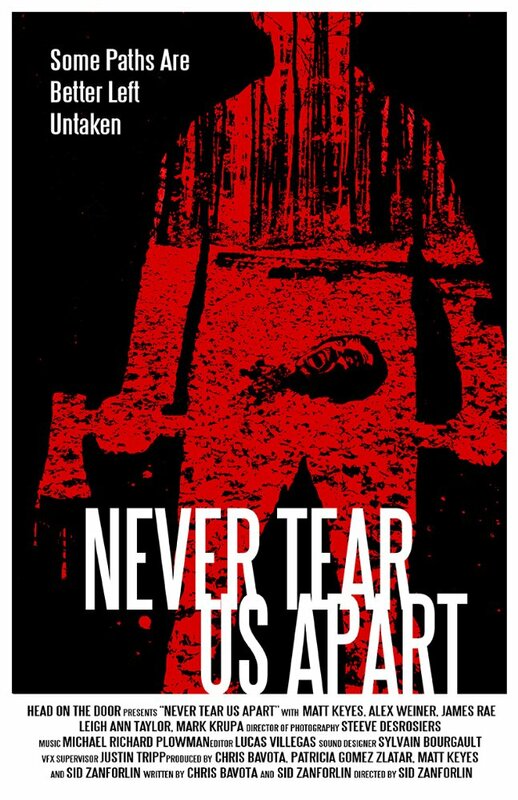 Enjoyably riffing on expectations from the start by featuring two guys as the couple-in-peril, this offers a witty twist on the standard in-bred rural cannibal-family-that-slays-together sub-genre. Showcasing an effective chase scene, one excellent cranial-trauma moment and some appealing performances. 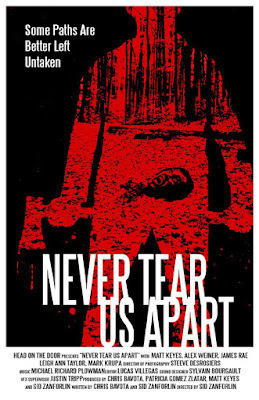 Never Tear Us Apart - Teaser from Sid Zanforlin on Vimeo.